“Sir I was thinking what am I doing? I am a cricketer but I am standing at the Kharagpur station and working as a Ticket Collector and every day stand at gate no. 3 and collect fine. Neither is my game improving nor am I getting any further opportunities. 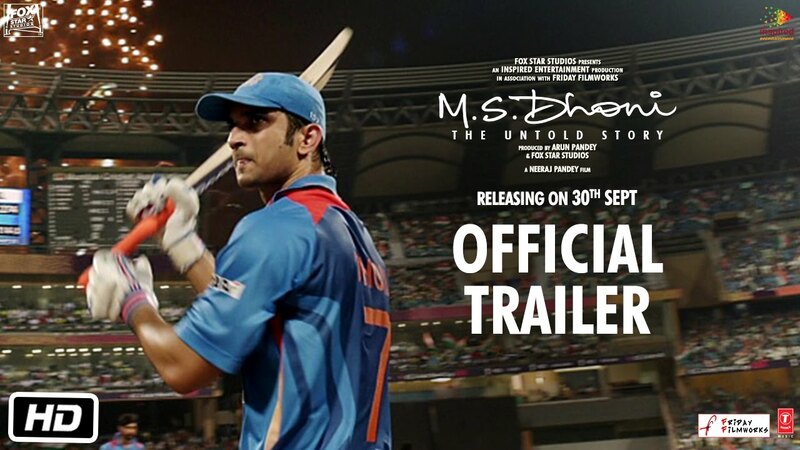 How long will this go on sir?” Is the introduction with which the trailer of the most anticipated biopic of the year MS Dhoni – The Untold Story kicks off. The first scene is of Dhoni sitting at the platform as a train passes by and is in a dilemma whether to let the train go or get in for another journey that awaits him. Then there is a young Mahendra goalkeeping for his school team. The cricket coach watches him do that from a distance and later asks him what his name is, a young boy then he says, Mahendra Singh Dhoni. The coach compliments him that you are a good goalkeeper will you play cricket? And that is how it all started. Dhoni had his inclination towards batting and would request the coach to let him bat but he asks him to focus on his wicketkeeping first. His father Pan Singh wanted him to continue playing but also focus on academics since sport on its own isn’t enough to survive. He does like his father had asked and studies while his heart drove him on to the cricket field. He did decently well as a student but excelled as a cricketer crossing various hurdles on his way. The trailer then travels to the time when he becomes the Indian skipper, decided to drop the big 3 from the ODI team and also when he hits the famous six at the Wankhede Stadium to win the World Cup 2011. It definitely increases the excitement for the movie and will give MS Dhoni fans goose bumps. Mark your dates, MS Dhoni – The Untold Story isn’t a movie to be missed.